The suit are supplied with a HUD customization “Smart Hud,” which allows you to customize 5 different zones with an infinite number of combinations. Customize everything! 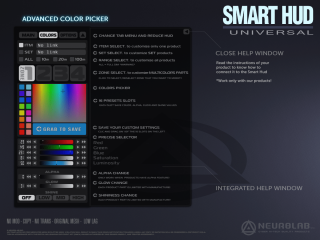 Colors, Glow, Shine, Materials, Leds animations… simply and easily. Includes 12 different animations choice and many options, these are all accessible via the hud. 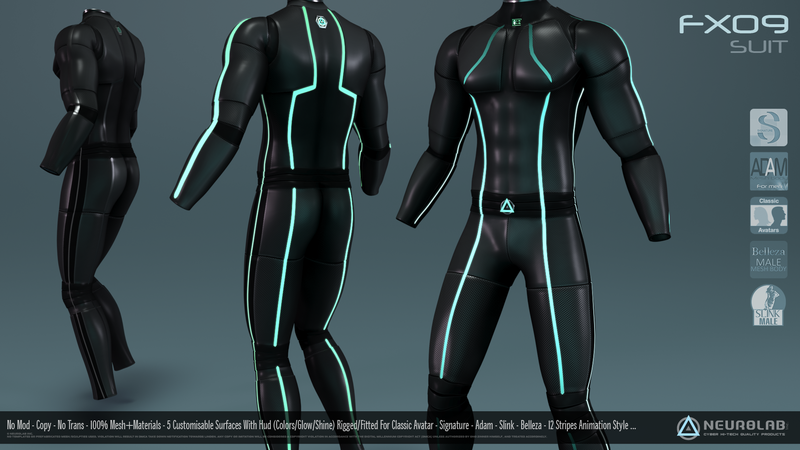 These suit are compatible with: Classic Avatar, Signature, Belleza, Slink man, Adam. IMPORTANT: This product require Advanced Lighting Model activate to appreciate the materials !!! – Wear system alpha layers you need (Classic head/Body avatar/hands/feets). – Attach Catsuit (right click add). 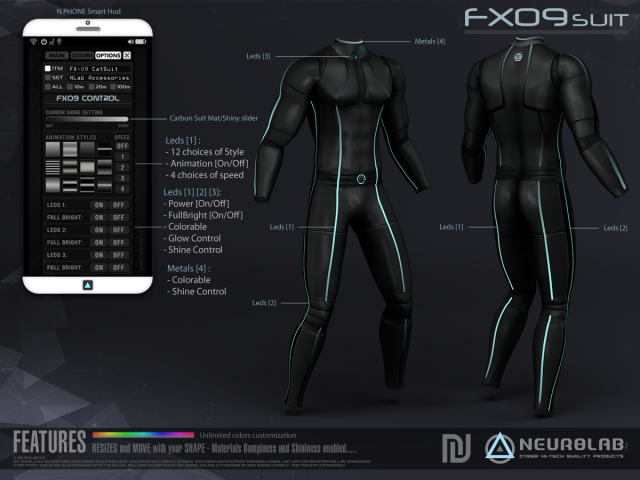 – Attach Catsuit (right click add) for your Mesh avatar. IMPORTANT: Click to back logo Suit to open menu! 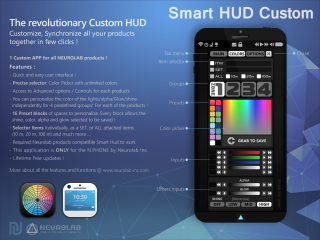 [ HUD Custom ] Connect the product to customize with your Smart HUD. IMPORTANT: Click to back top logo Suit to open menu or edit and “touch” menu! 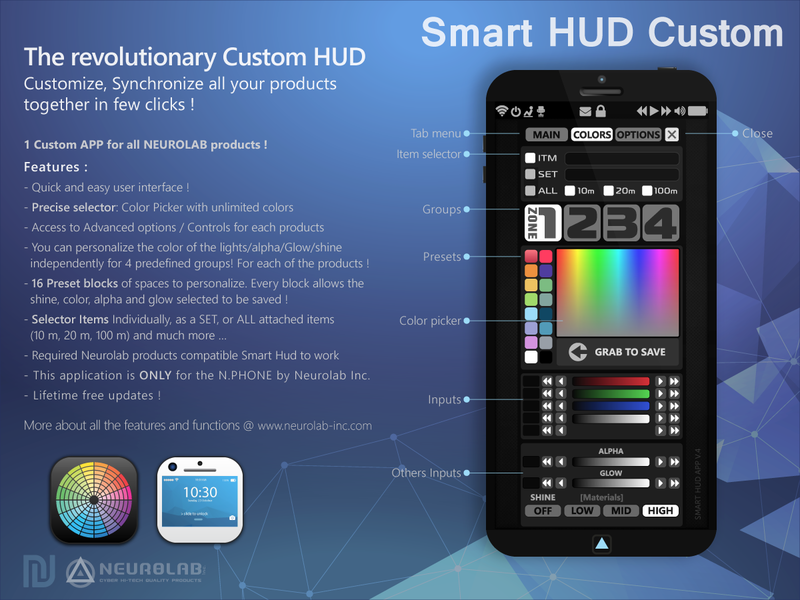 2 – Click to “HUD CUSTOM” button to the Suit menu to connect product and customize..
4 – now you can customize.. The default color selection boxes have glow and shine at 00. 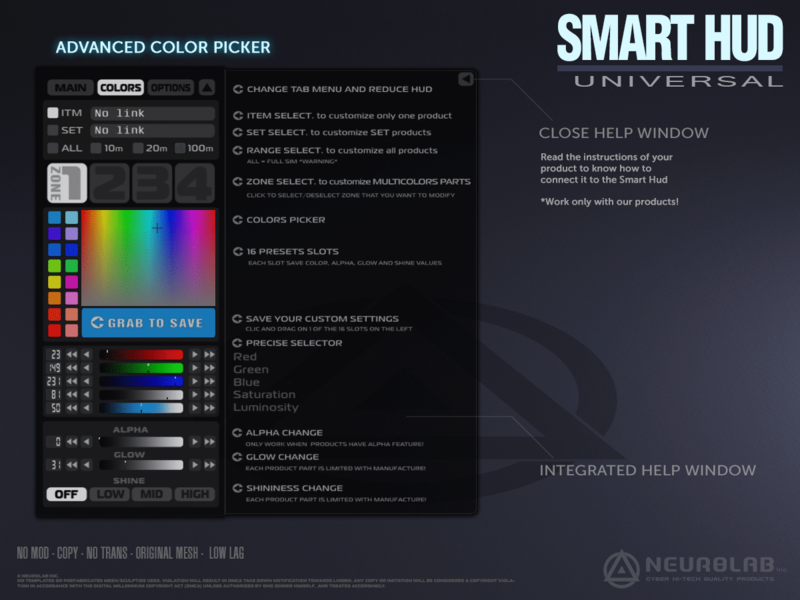 Do not forget to save (drag and drop) your new personal color selections with glow and brightness set to get the most out of the materials on your products.